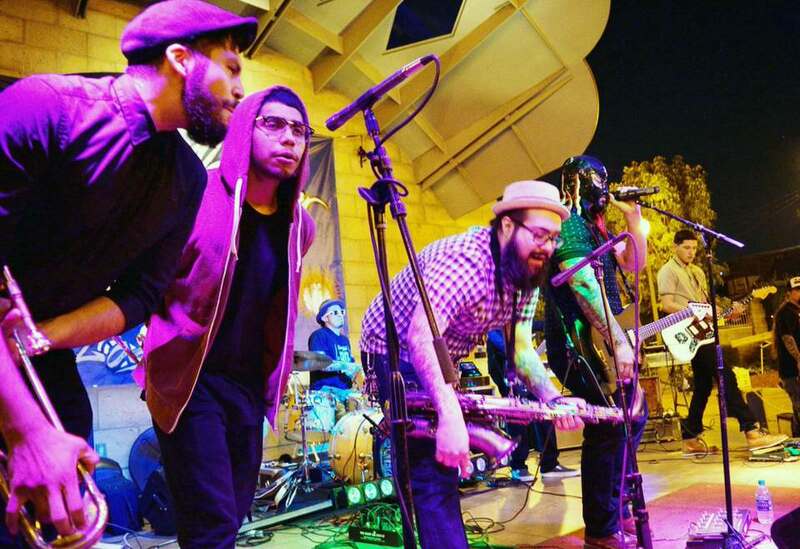 El skandalo con La Niña took on the St of Los Angeles in search of some good ska tones. The journey led us to the Airliner Bar where L.A. based South Central Skankers, The Paranoias, La Infinita and a few other bands were up in arms, battling it on stage. 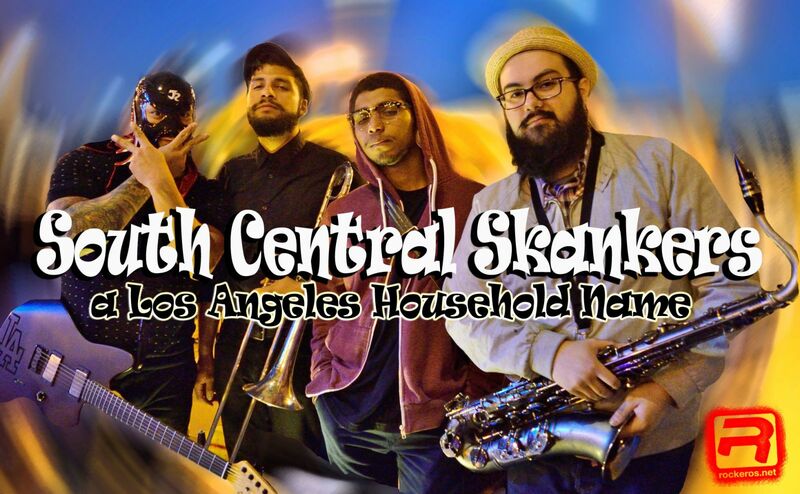 This was the second back to back South Central Skankers (SCS) show we crash, so sat down with the band to try to find out a little more about the band that founded in a studio engineering class at Cerritos College. Miguel: "One of our assignments was to record live music, so we decided to write a few songs and record them ourselves since we had already been playing together. We ended up recording 4 ska songs, burned them to cd's and passed them out at a ska show in Lynwood, at our House. We were called a week later with an offer to play a show and so we took it and the rest is history. The name came from my good friend Skaves. He and his brother used to be in the band when we first started. We would always go to shows together and he would always throw the name around to identify us because we were from South Central Los Angeles. It's not the greatest name in the world but it stuck to us and it definitely identify us. It's who and what we are"
The band is currently adding the finishing touches to new songs, and is currently looking for all the right angles of inspiration to lay down vocals. Miguel: "We're definitely planning on going into the studio to begin recording a 6 song EP in late May/early June. Once we have that done then hopefully we can play some CD release shows and revisit some of the places we've played before." Having been to their gigs back to back, it was delighting to see how down to earth all of these band members are. They know how to joke around with each other and have fun on stage. SCS also understands the importance of having a strong connection to their fan base. They stop whatever they are doing just to take a picture with their fans, or invite them to participate in their shows by jumping on stage like they did at the Airliner. If you are ever in the LA area and are into having a good time even if you don't like ska this is the band to see. Listening to them alone does not do them justice, you must go to a live show they will definitely make you dance and even make you part of their pit.